Videocon has launched the VT75C tablet in India for Rs. 5,965. The tablet runs on Jelly Bean and boasts of voice-calling. 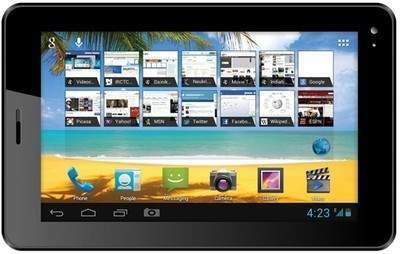 Videocon has added another tablet to its portfolio, the VT75C. The tablet is available for purchase via online retailers. Infibeam has listed the tablet as an in-stock product whereas Flipkart says that the tablet is a coming soon item. The VT75C has a list price of Rs. 6,999 but is available to users for Rs. 5,965. In terms of its specifications, the Videocon VT75C has a 7-inch display with a resolution of 480x800 pixels. It also sports a 1GHz processor along with 512MB of RAM. The tablet boasts of a SIM card slot supporting 2G, and 3G connectivity is via USB dongle only. The VT75C has 4GB built-in storage expandable up to 32GB via a microSD card. The rear of the tablet has a 2MP camera whereas the front has a 0.3MP camera for video chatting. A 3000mAh battery powers the entire package. 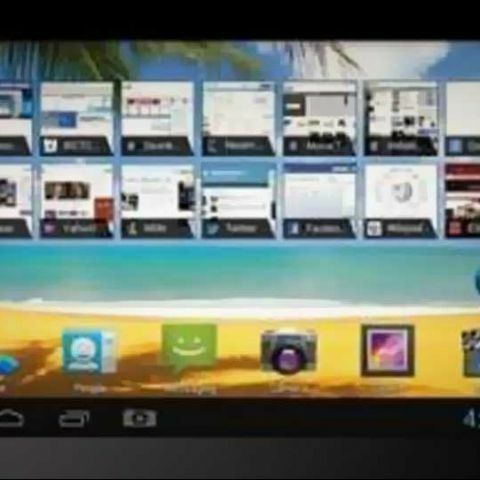 The tablet runs on Android 4.1 Jelly Bean straight out-of-the-box. In terms of its connectivity options, the VT75C supports Wi-Fi along with Bluetooth 2.1. It also houses a microUSB port and a headphones jack. The tablet comes with a bunch of preloaded apps including Notepad, Media Library, Skype, Games, Facebook, TOI, ET, Saavn, YouTube, Movie Studio, Google Talk and Instant Messaging. In the past we have seen tablets such as the Videocon VT 10, a 10-inch Jelly Bean powered tablet, launch for Rs. 11,200 and the 7-inch ICS based Videocon VT 71 launch for Rs. 4,799. If you have a budget of Rs. 6,000 and are looking to invest in your first tablet, you can take a look at the HCL Me U2, Micromax Funbook P250 and the Lava E-Tab Xtron to name a few.